The U.S. Navy’s proposed 5-year plan for sonar training exercises off the coasts of Southern California and Hawaii was approved on December 16th by the National Oceanic and Atmospheric Administration. However, many environmental groups are speaking out against the approval, even filing a lawsuit in Hawaii federal court to block the training on territories that will have an unacceptable threat to marine mammals. With consideration of the environmental group lawsuit, NOAA still concluded that the Navy’s promised mitigation measures will â€œminimize effects on marine mammals.â€ The Navy has been adamant in showing sonar training is crucial in preparing sailors to detect quiet submarines owned or being developed by Iranian adversaries. The NOAA also included that the Navy has insisted on shutting down use of sonar and explosives if marine mammals are spotted within designated mitigation zones. There will also be a â€œhumpback whale cautionary areaâ€ around Hawaii during winter months. The tension between the environmentalists and the U.S. Navy has thickened over several years of debates regarding sonar’s impact on marine mammals. The recent lawsuit sparked by environmental groups claims that the Navy’s measures are inadequate given the status of many of the species. The U.S. Navy estimates that its training off Hawaiian and Southern California coastlines will kill 155 whales over the five years of sonar training. Looking for a way to get around San Diego? The bus and trolley of America’s Finest City allows you to explore each part of San Diego’s unique culture and more with the interactive, people-watching transportation that allows you to take in the scenery instead of bickering over directions! From holiday vacations to everyday living, the San Diego bus and trolley schedule is great for getting you from Point A to Point B quickly. 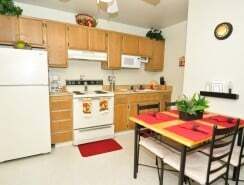 Our temporary apartments at Foxwood are also ideal for using San Diego’s public transit. 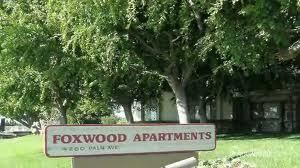 There is a bus station located across the street from Foxwood Corporate Apartments on Delcardo Avenue. Simply hop on the bus and you’ll be connected to many restaurants and shopping centers, other bus routes, and the San Diego trolley. The possibilities are endless when you explore San Diego via bus and trolley. If one of these top attractions is on your list of things to do in San Diego, they can be accessed easily when you ride the bus and trolley: Old Town, Downtown San Diego, Imperial Beach, U.S./Mexico border, Coronado, Mission Valley, Little Italy, and Balboa Park to name a few! No matter where you want to go and what you want to do, San Diego bus and trolley schedule is here to get you there. You can view bus and trolley maps as well as the San Diego bus and trolley schedule under the Public Transportation portion of our website. Plan outings and great activities just in time for Christmas! For a trip that’s quick, easy, and free of road rage, take San Diego’s bus and trolley while in town. With a convenient set-up by the 933 bus, you can’t go wrong with a stay at Foxwood! The USS Freedom, LCS 1, came back to its homeport of San Diego today, December 23, after its first deployment to Southeast Asia, the U.S. 7th Fleet area of responsibility. The littoral combat ship USS Freedom had a long first deployment. USS Freedom has two different crews consisting of 53 sailors each. Other detachments and an air crew also join the USS Freedom crews when needed. The ship originally left San Diego on March 1st with its gold crew and mid-deployment the blue crew swapped spots with the gold crew aboard USS Freedom. Unfortunately, USS Freedom encountered multiple structural errors and mechanical problems throughout its deployment. The ship had to stop for port maintenance three times within the 9-month deployment. According to a Navy press release, USS Freedom participated in many theater security and maritime presence operations with partner nations in Asia. The Navy ship also helped with humanitarian assistance and disaster response by delivering life-saving supplies after Typhoon Haiyan recently hit the Philippines. USS Freedom is a new type of vessel called a littoral combat ship that’s designed to undergo near-shore operations and can be configured for anti-submarine, mine countermeasures, and surface warfare. Of the Littoral Combat Ships, the next vessel to deploy will be San Diego-based ship USS Fort Worth. USS Fort Worth is predicted to deploy late next year.